KUWAIT CITY, May 6: The Gulf countries are competing to find alternative sources of income to replace oil in order to strengthen their economy and develop other sectors such as education and health sectors. 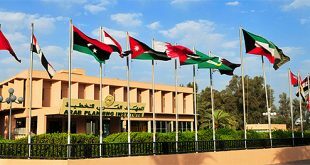 Saudi Arabia, Qatar and United Arab Emirates have declared their economic strategies until the year 2030 and intend to enhance investment opportunities in different sectors such as transportation, energy, water, housing, etc, and allocate higher budgets for the development of infrastructure and human resources. Meanwhile in Kuwait, many citizens and businessmen stressed that the government’s plan for developing the economy has not been applied in reality. They lamented that the widespread bureaucracy in the public sectors is the main obstacle to the application of the government’s economic strategy. 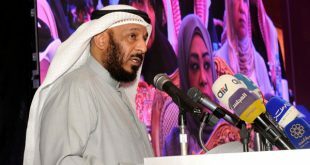 Kuwaiti citizen Abdullah Al-Kandari said the reason behind the deterioration of Kuwaiti economy is the absence of a comprehensive vision for handling the country’s economic problems. He said he is doubtful about the success of the government’s economic reform document because it focuses on privatizing all the services and facilities offered to citizens. Another citizen Abu Abbas said the deterioration of Kuwaiti economy due to the collapse of oil prices was expected because the state neglected to develop the private sector and execute major projects which would have supported the economy in times of crisis, like in other Gulf countries. Kuwaiti citizen Adel Al-Azmi said the lack of parliamentary surveillance over the government is the main reason behind the government’s delay in applying the state reform plans. 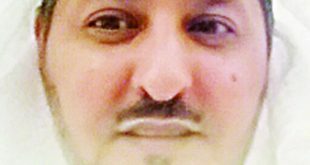 Bader Al-Enezi, a Kuwaiti citizen, believes the prevalence of corruption throughout the state institutions is the major obstacle to the country’s economic development. Meanwhile, economic expert Abdulatif Al-Ahmad said the lack of wise decisions that would have put Kuwait on the right track of economic development, the state of carelessness and the lack of enthusiasm and determination to implement His Highness the Amir’s vision of making Kuwait a financial and commercial hub in the region as well as the absence of parliamentary surveillance on the governmental performance resulted in the current miserable state of the country. He also lamented about the bad medical services and the frustrating condition of the roads in the country. Kuwaiti businessman Saad Al-Ibrahim indicated about the growing bureaucracy in the state sectors which, in his point of view, is responsible for the huge lag between the slow economic development in Kuwait and thriving economic development in other Gulf countries. Economic expert Dr Adel Al-Hamoud said Kuwait used to be referred as “The Pearl of the Gulf” because of her interest in developing the trade and industry sectors. However, Kuwait is now at the bottom of the list of Gulf countries in terms of economic development. He stressed that the previous parliaments brought political crises in the country which disturbed the government and badly affected its performance. Dr Al-Hamoud indicated that the neighboring countries used to be jealous of Kuwait’s achievements in the past but today they have overtaken Kuwait in many fields. He pointed out the fact that the current economic strategy of Saudi Arabia is focused on four main aspects — human resources development, social development, economic development and environmental development. He wondered how the state will be able to pay the salaries of employees if the oil prices continue to deteriorate. Dr Al-Hamoud also stressed that it is not logical to expect the signature of the undersecretary on every official document, even the trivial ones, as this is a reason behind the increasing bureaucracy in the state institutions. 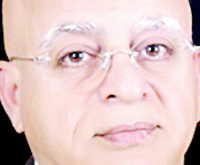 Columnist Osama Al-Thuwaini said Kuwait is confronted with a great failure which is obvious from its state of fear concerning its future and its way of dealing with crises which is through a policy of reaction, indicating that such a situation is not only prevalent in Kuwait but also in all Islamic countries. He added that comparing them will be like comparing the worse with the worst. 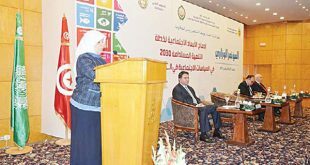 Dr Al-Ibrahim stressed the importance of developing and encouraging the industrial sector, as well as strengthening the cooperation between the public and private sectors by giving more opportunities to the latter to participate in the major projects of the country. He also affirmed the need to support small and medium level projects and giving priority to development of human resources in all cases. Economic expert Dr Jamal Al-Ali indicated that countries like the United States of America, Saudi Arabia, Oman and Qatar used to direct the oil revenues for the improvement of their economic revival due to which they have not suffered much from the deterioration of oil prices. He said, “If Kuwait had directed its investments inside the country, it would not have suffered from the current crisis which resulted from the dwindling oil prices”. In addition, businessman Saad Al-Azmi stressed the lack of seriousness and determination in carrying out the economic reform plan in Kuwait. He revealed that there are people who are illegally occupying lands in Kuwait and are protected by some parties. 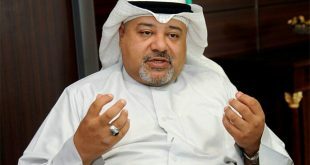 Al-Azmi lamented that legal procedures are not facilitated for the private sector in Kuwait such as obtaining a trade or industry license requires many months and after months of waiting, the project can end up getting refused. He indicated that Saudi Arabia started her industrial journey in the 1970s with 200 factories and now it has more than 10,000 factories including three giant ones.